Ben Barba training for the Cowboys before he was fired. 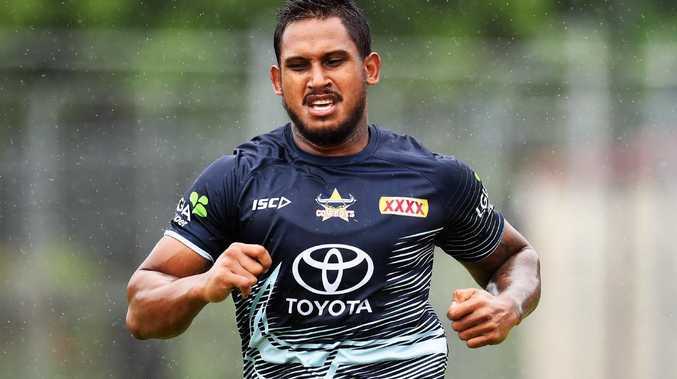 SACKED rugby league player Ben Barba has given up on ever returning to the NRL as he looks to move on with his life once charges against him are finalised. 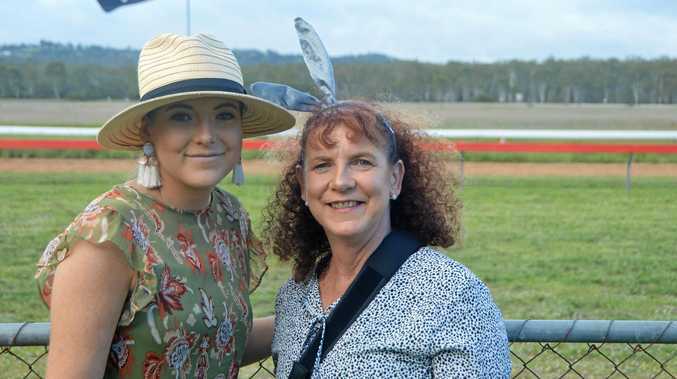 Barba faced Townsville Magistrates Court this morning charged with two counts of public nuisance relating to an alleged incident at the Ville Resort and Casino. The incident is understood to have involved a violent altercation with Barba and his long term partner Ainslie Currie who picked the former Dally M Medal winner up from court after his matter was heard this morning. "The only way I can do is move forward now and get on with my life," Barba said outside court. "I guess be a regular human being and try to enjoy my job." Barba said he would "probably not" return to the NRL but was hopeful of returning to local football in time. "As bad as the situation is I've probably never felt so free that I can just get on with my life without the pressure of footy," he said. "Hopefully I can play local footy again eventually and I'll go from there." Barba gave an explanation for his fiery spray towards a television journalist last week, claiming he lost his temper while thinking of the interests of his children. "I've been trying to keep (my children) away from it as much as possible," Barba said. "I lost my cool a few days ago when people were following me around. "I'll do anything for my kids. "I probably acted in the wrong way but that's the length I'll go to protect my children." Defence lawyer Campbell MacCullum had the former fullback's charges adjourned to Mackay Magistrates Court but said Barba would be pleading guilty. The matter will be heard again in Mackay on April 16.